On Tuesday, Nov. 13, in what normally would have been just a procedural move, the San Diego Padres announced that their minor league Double-A affiliate was being renamed the Amarillo Sod Poodles. Subsequently, baseball Twitter erupted with praise. Another minor league baseball team had rebranded with a head-scratchingly brilliant new name and logo. This marked trend has been growing over the past few years and has brought nothing but good vibes and smiles from all involved. The vastness of baseball’s minor leagues is unmatched across any major sport in America. The MiLB is the largest minor league in sports and thus has the ability to spread baseball fandom to areas devoid of a major league team. High school football inspires small town communities to congregate around sports, and minor league baseball does the same. With just as much history and connectedness to the town, minor league baseball excels in Small Town, USA because of its ability to bring professional-grade athletes and entertainment wherever it lands. Fun. Whacky. Captivating. All of baseball’s best qualities are encapsulated within the friendly confines of minor league baseball stadiums nationwide. From the Lehigh Valley Iron Pigs to the newly-dubbed Amarillo Sod Poodles, in recent years, minor league baseball has been successful in making baseball stadiums a more family-oriented and fun place to spend on a Saturday night. 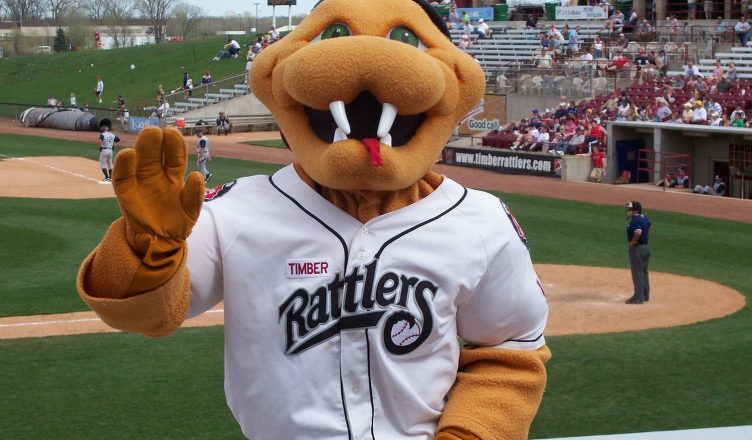 With bounce houses, beer gardens, and an intimate atmosphere to go along with goofy mascots, minor league stadiums really do bring a little something for everyone. Minor league baseball does not seem like it would be inherently entertaining. Watching these athletes, who have not yet proven themselves worthy of the big leagues, play baseball in front of as few as a couple thousand fans does not seem like it would imbue joy into the hearts of many. It especially does not seem capable of becoming a viral and marketable entity. But over the last decade or so, minor league baseball has done just that. With quirky team names, cute and well-designed logos, and players filled to the brim with heart and hustle, minor league baseball has become a huge hit. This is largely due to the freedom minor league teams have. Unlike professional baseball teams in the MLB, which have large TV audiences and tens of thousands of fans packing the stands to watch millionaires in some of America’s largest cities, minor league baseball teams have small, specific audiences to tend to. Over time, minor league teams have become more and more successful at reaching these audiences while simultaneously garnering national appeal. The Sod Poodles are a great case study for how a team can do so much with so little. Their example demonstrates how something as simple as a name can help integrate a minor league team within the fabric of the small town it is located in. “Sod poodles” are prairie dogs, and this funny moniker, while unheard of in cities like New York or Los Angeles, is common and widely understood in Texas, especially in Amarillo. Their team colors — blue, red, and white — match the colors of the Texas flag, once again connecting the team to fans while also creating a color combination unusual in professional sports. That’s the genius of this new style of marketing that is sweeping across minor league baseball. It creates a brand deeply intertwined with local culture to attract fans to sit in the bleachers and support the team, but also a nationwide appeal due to funny yet fashionable logos and flashy colors. It has resulted in the proliferation of teams like the El Paso Chihuahuas, the Jacksonville Jumbo Shrimp, and the Lansing Lug Nuts — much to the delight of baseball fans everywhere. Now that minor league teams are gaining more than just a cult following with the help of social media, major league teams are starting to bring pieces of the minor league experience into their own cavernous ballparks. In San Diego’s own Petco Park, the home of the Padres, this is evident in the inter-inning antics the team employs, such as dancing groundcrews that work in tandem with the traditional “Kiss Cams” and “Dance Cams.” In Oakland, drums and cowbells can be heard clanging from a small group of decked-out superfans in right field, bringing some of the most well-known sounds of the minor league game up to the big leagues. This infusion of youthful energy is good for the game of baseball at all levels and will hopefully continue to expand into the front offices of other major sports franchises across the country.